Today is the fifth day of the 2019 Legislative session, and things are in full swing. 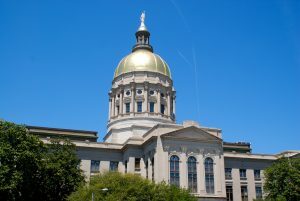 As we reported last week, there were a lot of changes to the Georgia General Assembly in the last election. While we don’t know how the new administration will respond to our demand for continued criminal justice reform yet, we do have some exciting updates to share with you. SCHR will provide updates on these and all other bills introduced this legislative session related to criminal justice reform. The Justice Reform Partnership (JRP), led by SCHR, continues to grow around the state, and partners will work together this session to ensure criminal justice reform is a priority in 2019. Along with the annual Justice Day at the Capitol on February 26th, JRP will also host an eight-week series at the capitol called Talk Justice Tuesdays (TJT) in which partners will focus on specific issues and opportunities for reform this session. Last Tuesday, SCHR hosted the first TJT – The Road to Criminal Justice Reform in 2019. More than 30 people attended, and the group discussed expectations for criminal justice reform in 2019, important legislative committee assignments, and identified the issues we expect will be considered this year: mental health, bail, dignity for incarcerated women, solitary confinement, expungement, and voting rights. There will be several other chances to come to the capitol to discuss important criminal justice issues and push for real reforms that will benefit all Georgians. You can find the full schedule for the remaining here: www.JusticeDay365.com.